Toys”R”Us unveiled a holiday ‘Give Back’ program inspired by the generosity of community members during the 2011 holiday season when individuals across the country anonymously paid off layaway balances of strangers in gestures of good will. This year, for each layaway balance paid off as an act of kindness, the company will donate $200 worth of toys – the approximate average value of a layaway order created at Toys”R”Us – to the Marine Toys for Tots Foundation, up to $1 million worth of toys. 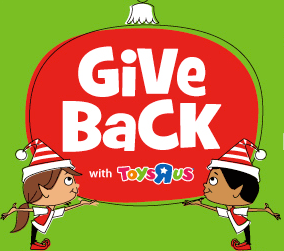 In a digital execution, each time someone pays off the balance of a layaway order at Toys”R”Us for someone in their community, the company will update a “Give Back Tracker” on Facebook, a map showing where the layaway payoff took place, as well as the total amount of toys Toys”R”Us has donated to Toys for Tots. Most cause marketing efforts are company-down, where a brand pushes their cause message out and invites consumers to join in their efforts. This innovative campaign from Toys”R”Us flips that model upside down as the retailer follows a national phenomenon of generous community members and jumps on board to sweeten the pot for a long-standing partner. This effort is a natural tie-in to promote TRU’s extension of its free layaway program into the holiday season as well as a fitting addition to its successful “Give Back with Shaq” annual campaign and will likely be well-received by holiday shoppers during the spirit of giving. Choosing to offer a sizable, $200 donation for each layaway balance paid helps raise the authenticity bar for this campaign.